SDCC 2018: AiPT! 's video guide to the best booths on the convention floor – AiPT! San Diego Comic-Con is the largest comics, movie and pop culture convention of the year. Thousands of people (many in full cosplay glory) flock to the San Diego harborfront and Gaslamp Quarter to see exclusives, buy awesome collectibles, glimpse celebrities and get autographs (and let’s not forget, stand in line). The con floor can be a bit overwhelming. So before you get in line let us help you find the cool stuff on this year’s con floor. 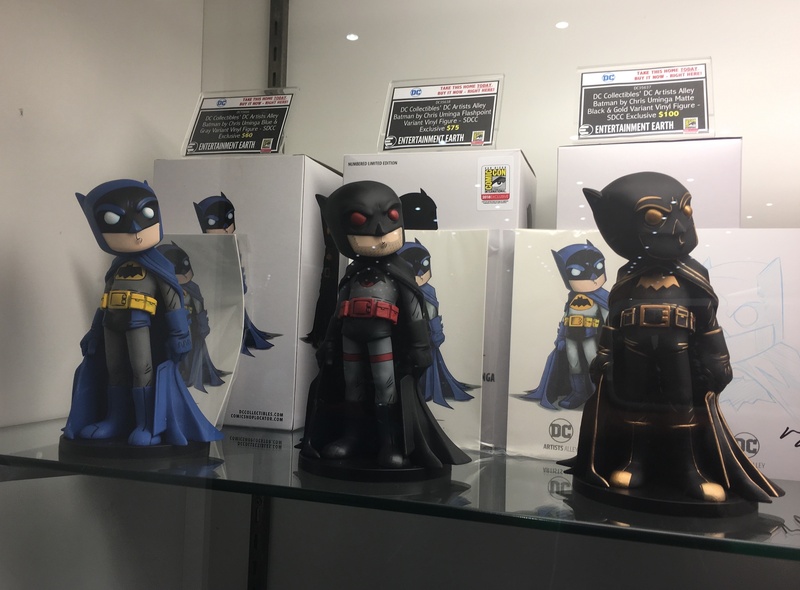 And for those of you who couldn’t make it to SDCC this year, check out our videos to get a feel of what was hot on the SDCC floor! Up first, the Hasbro booth (#3213) and MARVEL Legends: We chatted with Ryan from the Marvel team and he walked us through the 10 in 10 line and also a very cool diorama including Hulkbuster. We also popped in on Mattel (Booth #3029) where Steve showcased their WWE figures and a bit of wrestling madness. Next on tap was ThinkGeek (#3349) Bianca shared a Pickle Rick sleeping bag, con exclusive Conan Funko Pop! and a Star Trek lamp. Bonus from Think Geek a Fall Out 76 build your own Pip Boy kit! We visit the Hasbro team again where John and Ben give us a deep dive into the Transformers new Bumblebee toy line and a few classics as well. Shhh…we also get a look at an exclusive helicopter Transformer. Entertainment Earth (Booth #2343) is killing it with the Chris Uminga con exclusive Batman statues that come with signed art. Liz gave us a tour of Harry Potter merch, Jabba’s lair backpack, BooBerry Geektikis, Bob Ross and an Infinity Gauntlet set of peg people and much more.